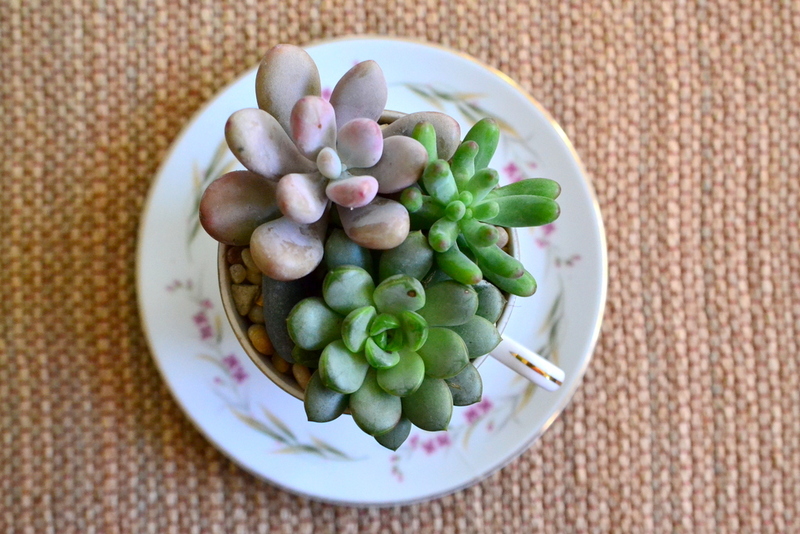 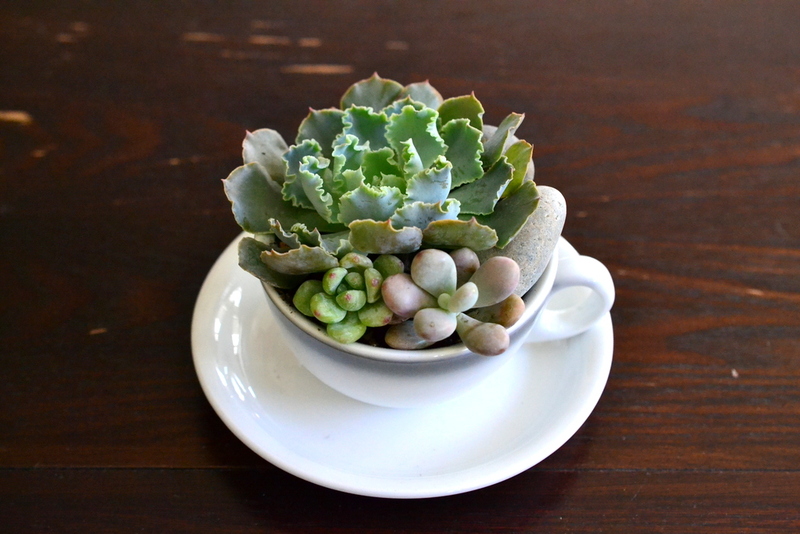 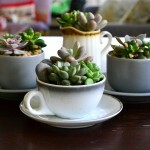 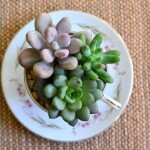 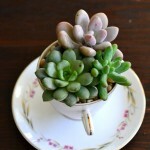 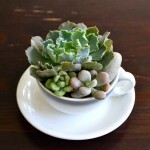 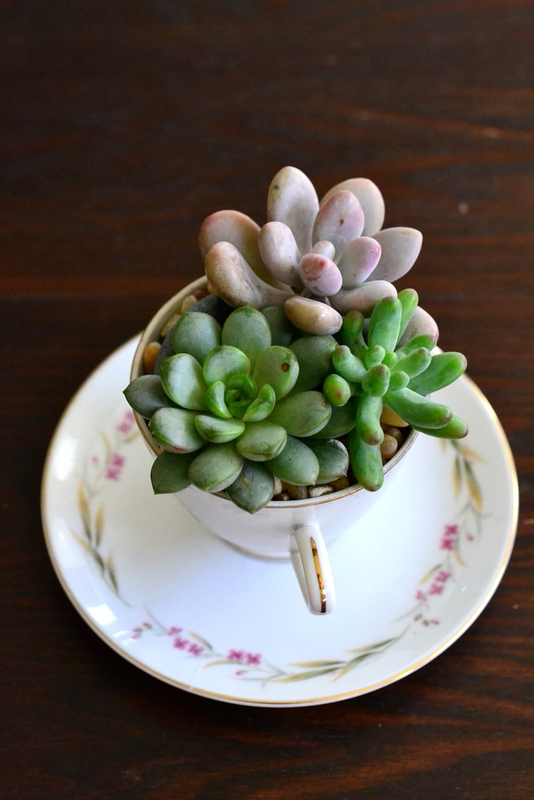 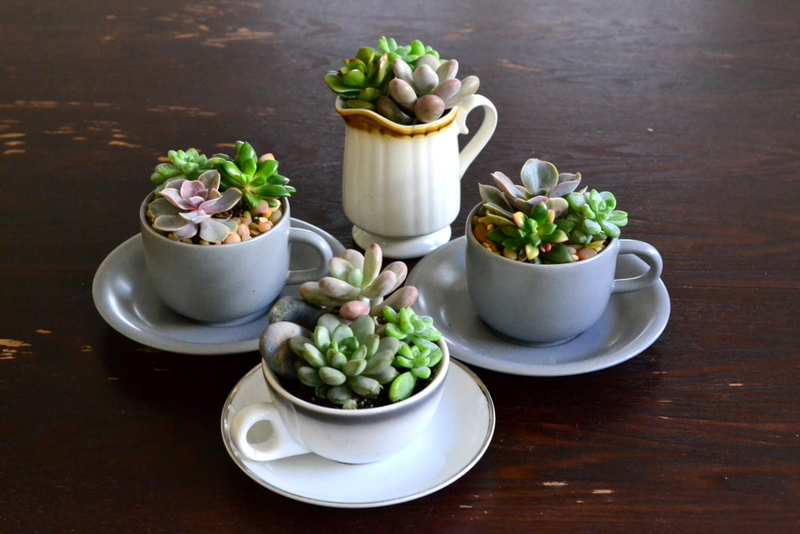 Vintage teacup and saucers serve as the perfect little vessel for assorted succulents. 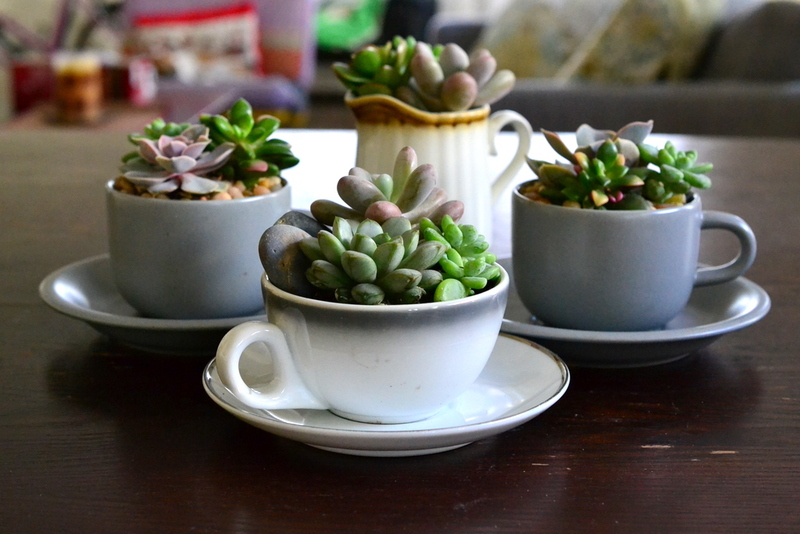 $12 each. 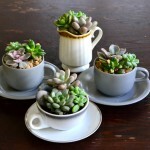 All items pictured are available – see image captions.